Lea here. It is my turn for a blog entry. I haven't been blogging for a while - partly because I have been really busy with my new job and partly because I lost the motivation for a bit. Who knows maybe at some point I might get back into it more on a full time basis. But in the meantime, there was something really important today that I wanted to come here and share. 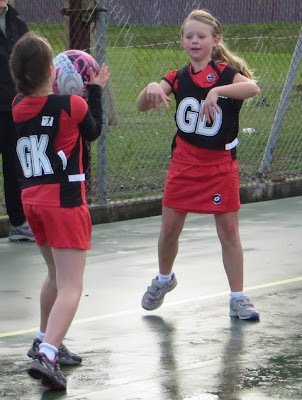 Today's post is all about my 2 girls and why today especially is significant for them and for me. My 2 girls are Bianca and Caitlyn. They share their time between our place and their dad's place. Bianca will be 10 years old in just a few weeks and Caitlyn turned 6 in February. They both enjoy doing cheerleading and Bianca loves playing netball. 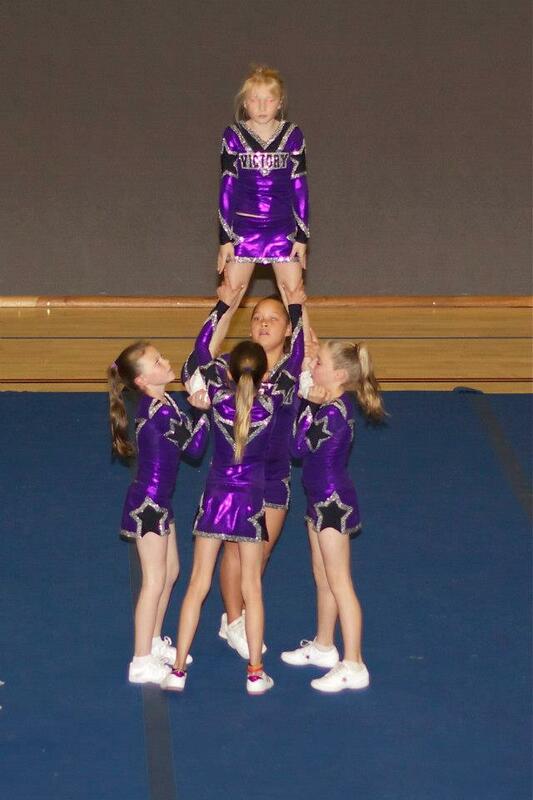 Caitlyn trying cheerleading for the first time and she loved it! Bianca is on the left. 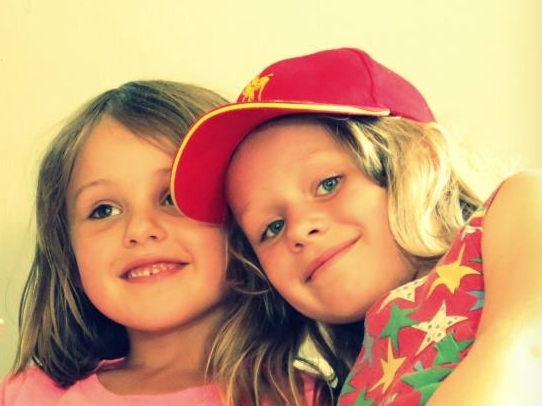 Looking at my girls it is hard to imagine that today 6 years ago everything changed for them. 6 Years ago Bianca who was 2 weeks away from turning 4 was diagnosed with leukemia. I remember that day as if it was yesterday. I look at my beautiful girls and feel so incredibly proud that despite everything they faced, they showed me and others what living life really was all about. Despite going through some of the biggest challenges, Bianca did so with grace and with a smile that would light up the room. The photo on the left is one of my favourites! 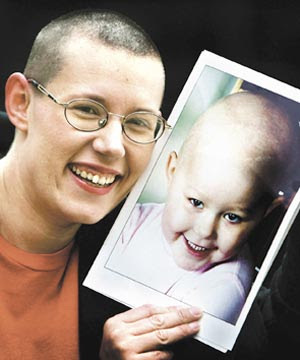 Even without hair Bianca was still beautiful! I remember when Bianca was 5 and was still on treatment and could hardly walk properly thanks to a particular drug (let alone run like other kids her age), her school had a cross country event and she had the option of sitting out or to be a special helper. But instead, she chose to participate and she did. Not only that, she completed the race despite coming completely last. She was not going to give up just because of cancer. Caitlyn too - she was only 3.5 months old when Bianca was diagnosed. She came into this world and suddenly had to fit into a world not dictated by her needs, but by a hospital schedule and the medical needs of her bigger sister. She was the normal we needed so desperately at the time. During Bianca's treatment she collected around 1,300 Beads of Courage. This represented 830 days of treatment, procedures, hospital stays, blood product transfusions, lumbar punctures, bone marrow biopsies and so on. This is an amazing programme that was designed by a nurse in the US. To read more about Bianca's journey, click here. Bianca is now off treatment - she finished treatment in September 2009 and we planted a tree at her school to celebrate this incredible milestone. This tree represented growth, strength and courage as well as new beginnings. The tree is the same age as Bianca and she will always have the opportunity to go and visit her tree. You can read about this very special day here. But this post isn't about being sad or mourning loss of innocence (because let's face it at the age of 4 Bianca discovered a world no child [or adult for that matter] should ever have to enter. This post is about hope. It is about showing that you can live life despite cancer. Bianca is not yet cleared. We still have a few more years to go before we will be able to say she is 'cured' and there is still a risk it might come back. There is still a risk of other long term effects as we go forward, but for now we celebrate this moment where Bianca (and her sister) are nothing more than typical kids. They love life. 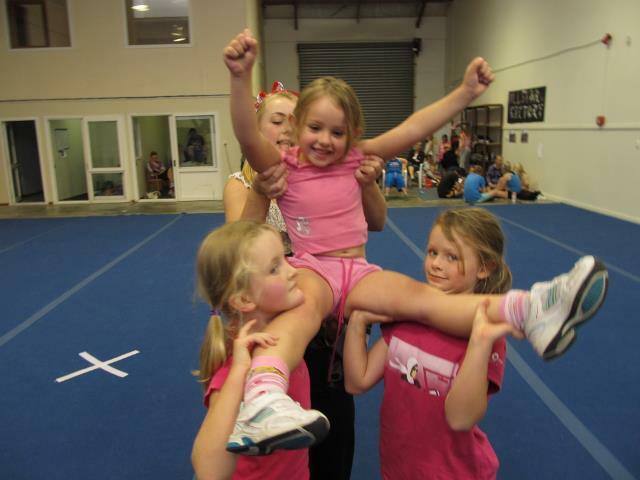 They enjoy doing their activities and playing with their friends. We don't know why we were chosen to walk this particular road, but what I learnt was that despite dealing with the challenges we faced, we met some amazing people, we had wonderful support through the Child Cancer Foundation and more than that we have had the opportunity to make a difference, to create awareness and to (hopefully) give others hope and for that I will always be thankful. I will always be so incredibly proud of my girls! what an amazing group of girls you have. they met life early...as you did as well. what a story you have to tell as well. i am glad they are embracing life. And so you should be proud! Lovely story, Lea. I have a younger cousin who had childhood cancer with roughly the same story as you explain here. He's about 40 years old now! He's a miracle every single day. Your daughters are beautiful, especially within. The planting of the tree reminded me of a (much sadder) story... The six-year-old daughter of a friend of mine died from meningitis, in spite of everything they tried at the hospital. 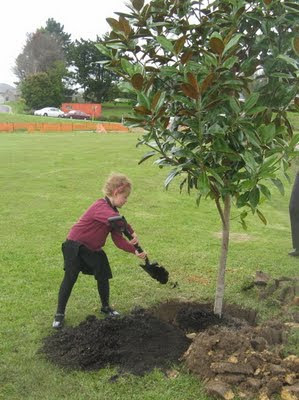 The children of her class at school planted a cherry tree outside the school in her memory. Things like that really do put our everyday "worries" into perspective. I agree you have two wonderful girls and I have been fortunate to get to know them a little. Bianca is a brave girl and you are a brave and loving mum. Look forward to more blog entries! It is said that everything happens for a reason but how difficult it must be to find a reason when faced with a child's serious health issue. Your girls are wonderful, Lea, and so are you. I am proud of your girls, too. What an ordeal for your older daughter. Good luck to her. Aloha from Hawaii. Lea, your daughters truly are special and inspirational, but so are you. What you have created during her journey may help so many more children and their parents. Thank you for taking the time to leave a record of the experience and for holding onto hope when things surely must have seemed dismal. I'm so glad she has faced it head on and doing well now. She is always smiling in your photos - you are raising a remarkable girl! This is a wonderfully written post about your remarkable little girl who has met her challenges in life with great courage. Thanks for sharing this. It makes me happy that the school acknowledged your daughter with the planting of a tree. I hope you go and visit it often and take photos of it growing alongside of Bianca! A story of courage and hope to give a lift to my day. Thank you. What a courageous story about life and hope in your family. I hope and pray that Bianca continues to do well. Planting the tree was a great idea. You have much to be proud of. Isn't it amazing how strong the human spirit can be? My nephew had retnoblastoma when he was born and had to have both his eyes removed. I think he's now able to relax more about any recurrence of the cancer, but he's celebrated his 35th birthday and is in a happy marriage and a productive life. You and all your girls are blessed with so much love.